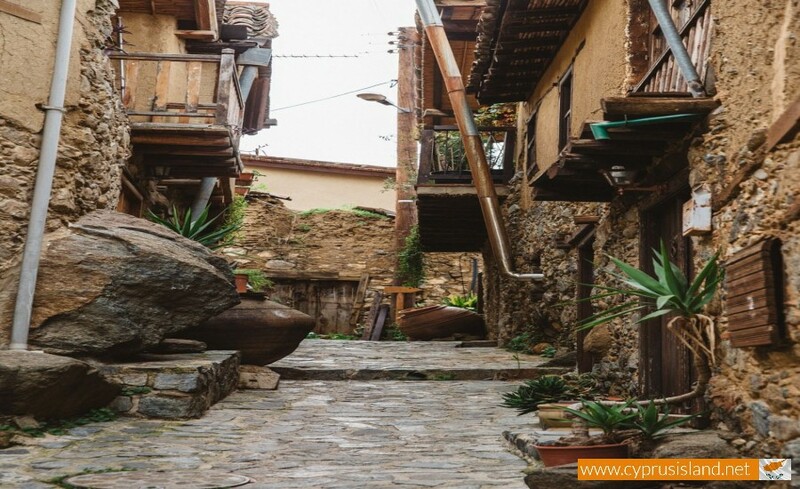 Kakopetria is a very beautiful village which is located in Cyprus, about 55 kilometers southwest of the Nicosia district and it faces towards the foothills of the Troodos Mountains. 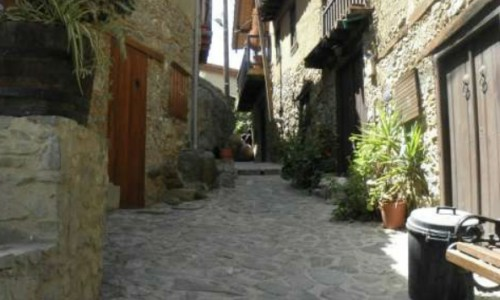 The village is siutated at an altitude of 667 metres and it is considered as the highest village in the Solea Valley. The village has about 1,500 permanent inhabitans and it is surrounded by thick forestland. 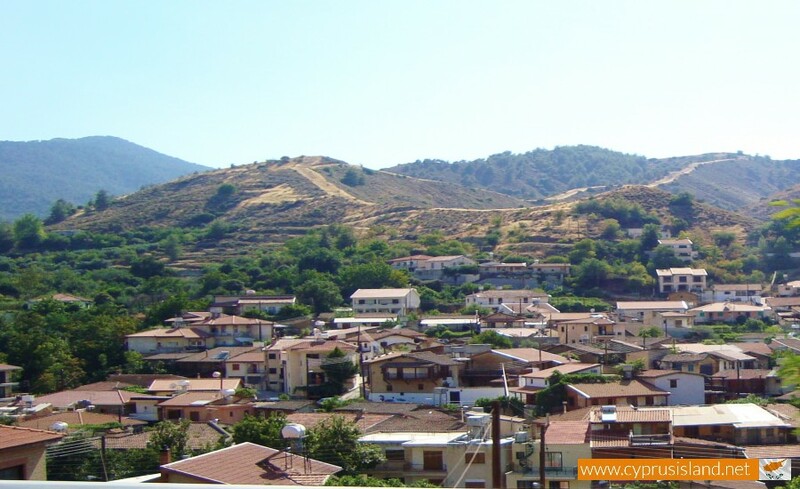 The village is also built on the banks of two rivers; the Kargotis River and Garillis River and the two rivers join within the village itself, forming the Klarios river that eventually crosses the Solea Valley and empties into Morphou Bay. 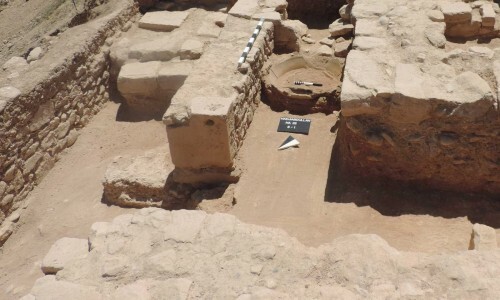 It is said that a newly wedded couple was walking through the Old village of Kakopetria. 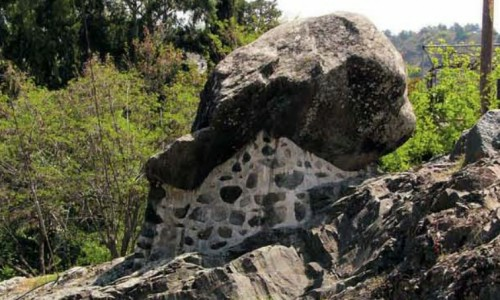 At an area in the village there was a large rock, which fell and killed the couple. The rock was then stuck together and was named bad rock. Slowly the two names were said together which in Greek it is Kakopetria. Another version of the same story says that on the couple had to sit on this stone after their wedding in order for their marriage to become as stable and as hard as a rock. In one case, the stone rolled over and killed the couple. The residents then named it Kakopetria and the whole village took its name. There was one a man who had two children, Panayiotis and Peter. Panayiotis was king and Peter was bad. 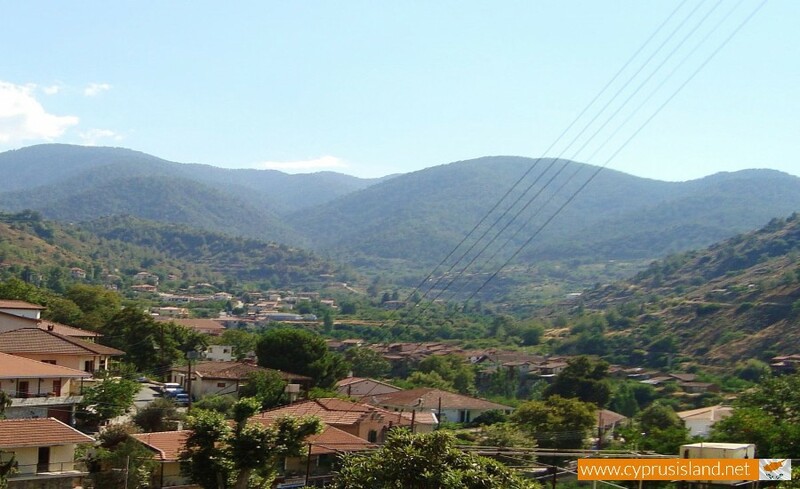 Panayiotis went to an area after having a fight with his brother and the village was named Kalopanayiotis. Peter stayed at the village which was named as Kakopetria because that is where bad Peter lived. Another version of this story says that there was once a rich man from Marathassa who had three sons, Niko, Panayiotis and Peter. Peter was the youngest and was the naughtiest. He was so bad that his other brothers were sick of him. Therefore their father had to send him to the other side of the mountain to live. 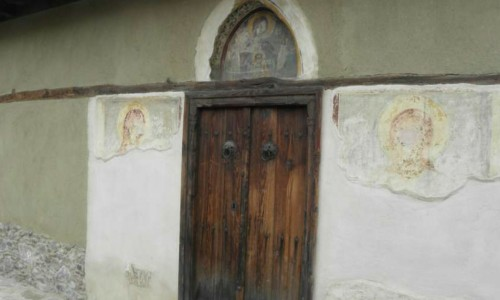 Peter was the first resident and because he was bad the village took the name Kakopetria. The Kakopetria village is covered by a green veil created with natures most remarkable and beautiful colours. 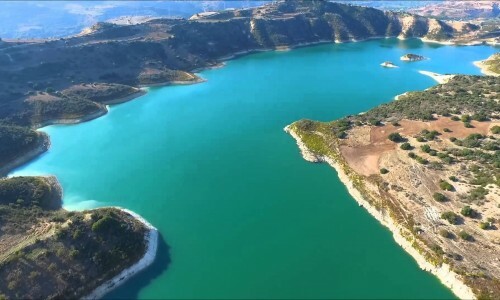 The land is covered with rich and wild vegetation, and is mixed with cultivated pieces of land creating a magical setting which is completed by the two side rivers of the Clarios river which are united in the centre of the village. 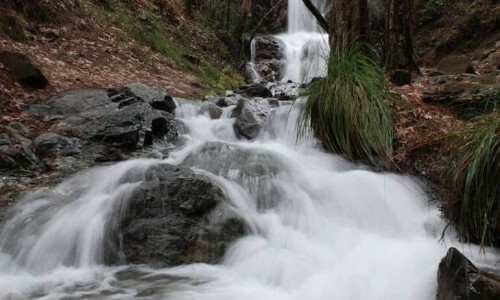 Kakopetria enjoys the beautiful sound of the streams which creates a melody which in turn provides peace and quiet to the people. 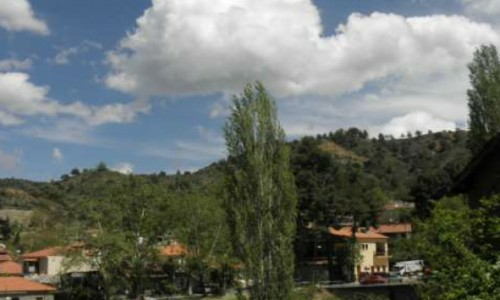 At the village you can find various types of trees including pine-trees, platan-trees and poplars that prevail in the green scenery but you can also find some acacias, oak trees and wild olive trees, Cistaceae and other types of wild vegetation. The villagers cultivate various fruit-baring trees like apple, pear, plum, cherry trees, apricot, fig trees as well as vegetables. 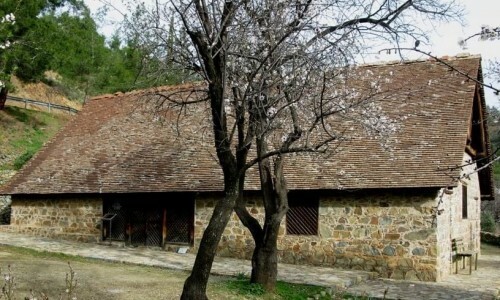 The Kakopetria village is famous for the apples which are known as kakopetritika. That name is derived from name of the village "Kakopetria". 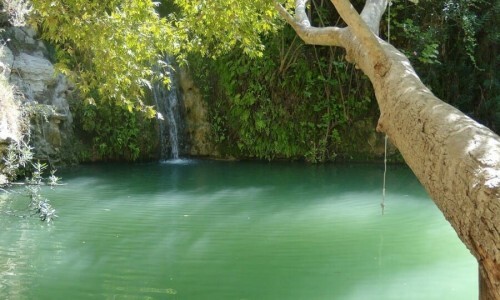 The village is considered as an ideal place for people that love nature as it offers magical sceneries. 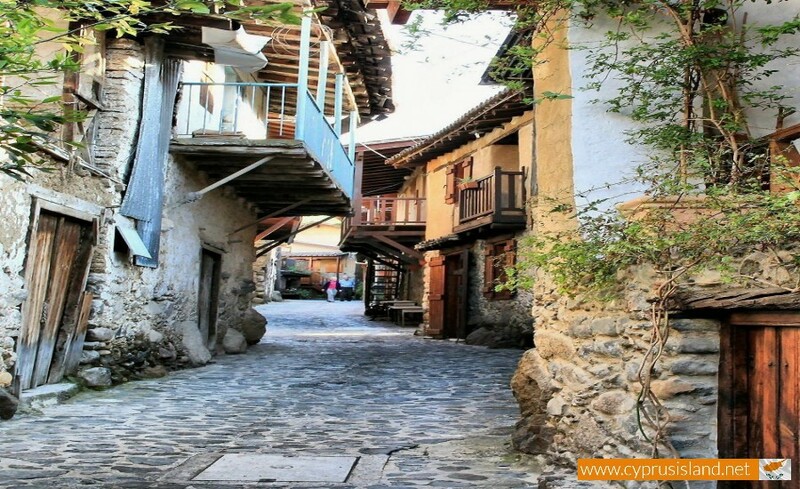 The Kakopetria village is very popular for visitors due to the healthy and cool climate it offers, the beautiful natural enviroment which surrounds the village as well as the rich vegetation that can be found, its picturesque landscape and the fact that is near the two biggest cities of Cyprus, Limassol and Nicosia. 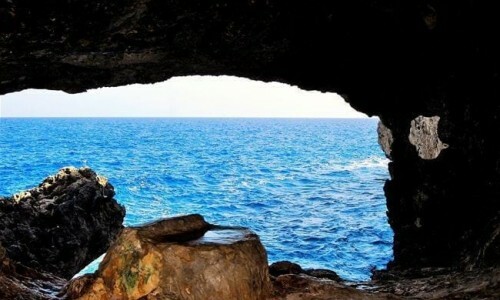 It is an ideal place for vacation purposes especially during the summer months. 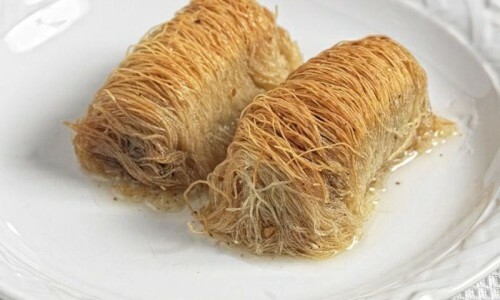 The people in Kakopetria are considered very friendly with proper behaviour and perfect service. They also perform conscious effort for keeping village clean. 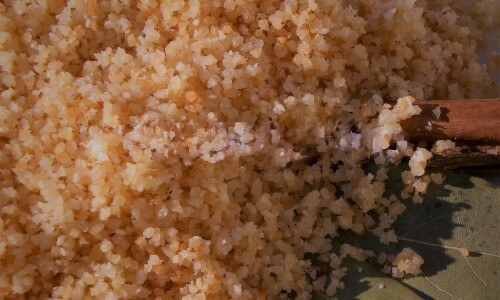 In general, they are very helpful people and offer various other comforts to local and foreign tourists with pleasure. Tourism in Kakopetria began to develop after 1918.Until then the area of the new village was made up of fields, olive trees and other various trees. 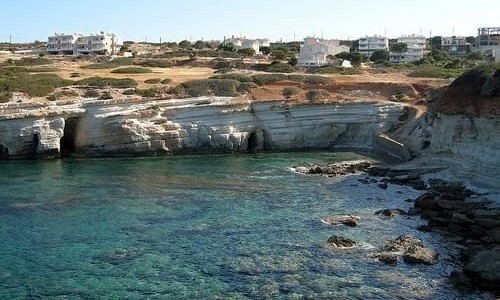 The area of Kakopetria was owned by the Holy Temple of Agios Nikolaos Stegis. It then moved on to the Holy Archbishopric of Cyprus. In 1922 the Archbishop split the area into 120 pieces of land which were then given to residents. Since then the growth of trees filled the village and the area is well known for this today. 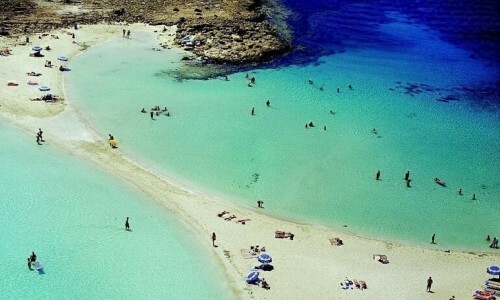 The healthy climate of Kakopetria , the wonderful natural environment , the rich green , the cool waters , the ancient local heritage which someone can admire by visiting the area of old Kakopetria was enough to get the attention of many rich families who built holiday houses for the summer months. The coming of these families goes back to 1918 when the first settlers arrived with carriages and rented the houses at first. 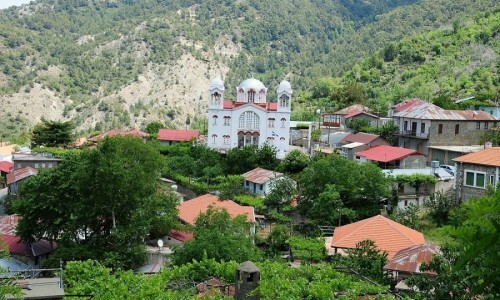 The ancient byzantine churches such as the monastery of Agios Nikolaos tis Stegis, the Chapel of Saint George the Perachoritis, the Panagia Theotokos Chapel, the Church of the Metamorphosis tou Sotira, the Traditional Olive Mill are some of the unique sights which someone can admire in the community. The Agios Panteleiomonas Church is a newer cosntruction , of byzantine architecture and it is the main church in the village. The church is very big and it can accomodate up to 700 people. 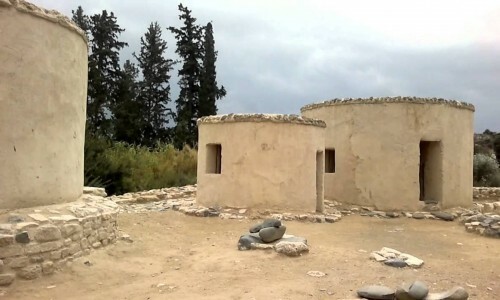 As basic components for the success of the tourist income at the community of Kakopetria, we can also count the warm hospitality which can be found in the residents’ the proper attitude, the service, the conscious effort for cleaning the environment, the proper construction development which occurs from all the village residents as well as many other comforts with the hotels and the many tourist centres. Even though within the 60 years of tourist life the residents of the community have developed the tourist consciousness to a large extent, at many points even more emphasis must be given for a healthy tourist climate in the community. 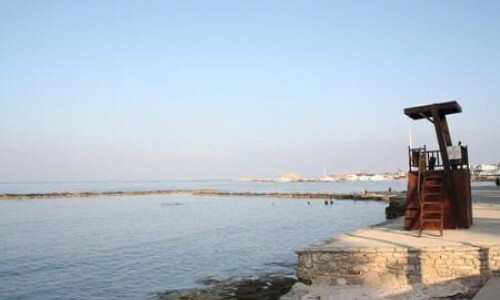 With a little more effort by the residents in cooperation with the local services, the community of Kakopetria will not have anything to be jealous about in comparison with other European tourist areas. Linos Museum is housed in a building on Old Kakopetria Street. It consists of three thematic sections, with the first one being dedicated to wine, the second one to bread and the third one to olive oil. 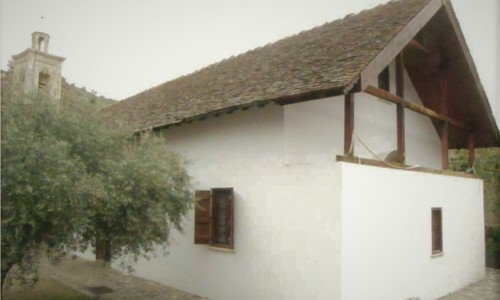 Olivemill (Eliomylos) museum. 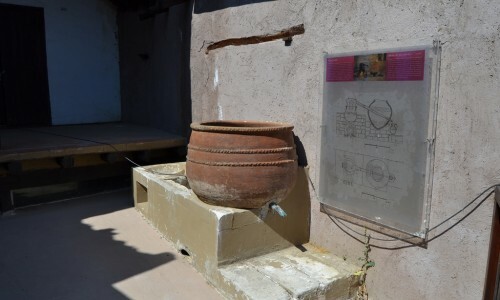 The Museum is housed in the yard of the Church of Soteros, at the old picturesque neighbourhood of Kakopetria. Palia Kakopetria (Old Kakopetria) The old part of the village is the most beautiful and picturesque part of the village and it is built on the place where Kakopetria had first arisen . Kakopetria Watermills Due to the abundant waters of the rivers Karkotis and Garillis, two watermills were built in the mountainous village Kakopetria. 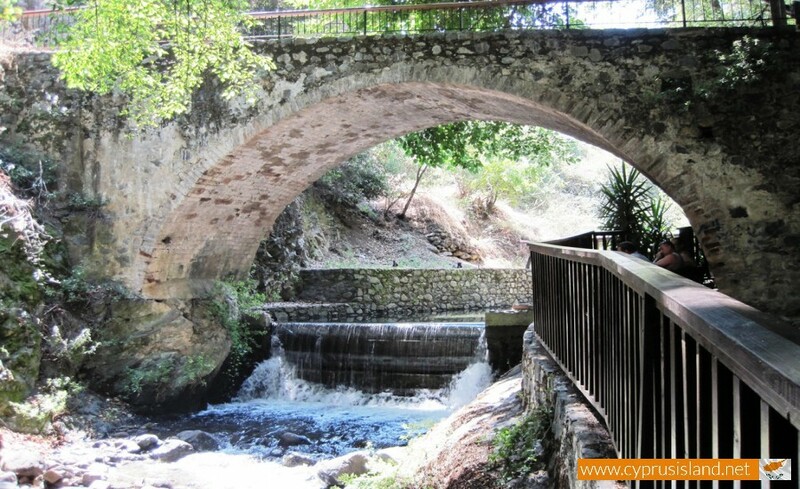 The two watermills were called “Milos tis Gonias” (watermill in the corner) and the “Milos tou Hadjistavrinou” (the mill of Hadjistavrinos). 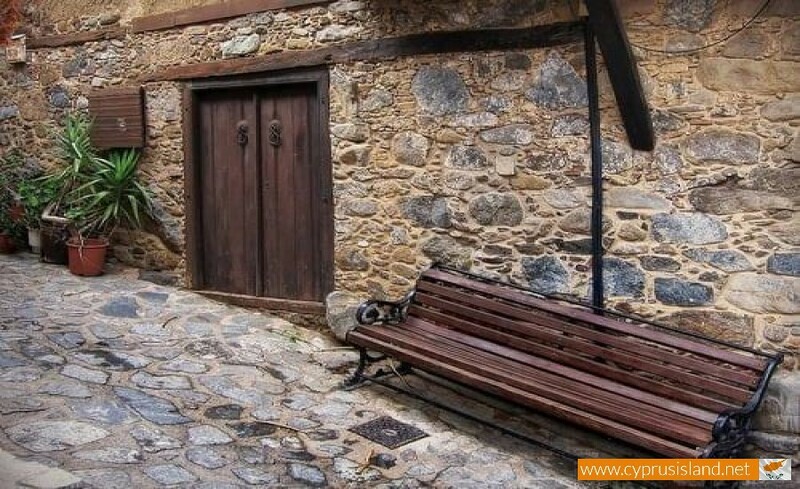 The first one was built on the central road, on the left bank of the river of Agios Nikolaos. The second one was built near the central road between the estuaries of the two rivers. Petra tou Antrogynou is situated in the entrance of Palia Kakopetria, near the upgrade road that leads to the church of Transfiguration. There are many traditions related to the “Petra tou Antrogynou”. Each couple after their wedding they went to the big stone where a special ceremony took place.